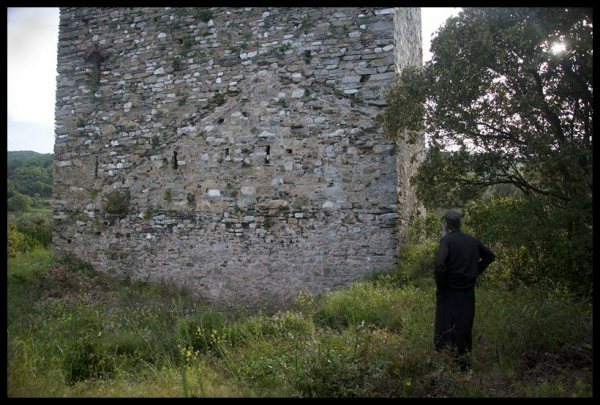 1675 – the Tower of Kaletzi: another Latin monastery on Athos (at Kolitsou or Colciu)? We all know that today 20 monasteries exist on the Holy Mountain. But we also have information and proof that there used to be more monasteries. 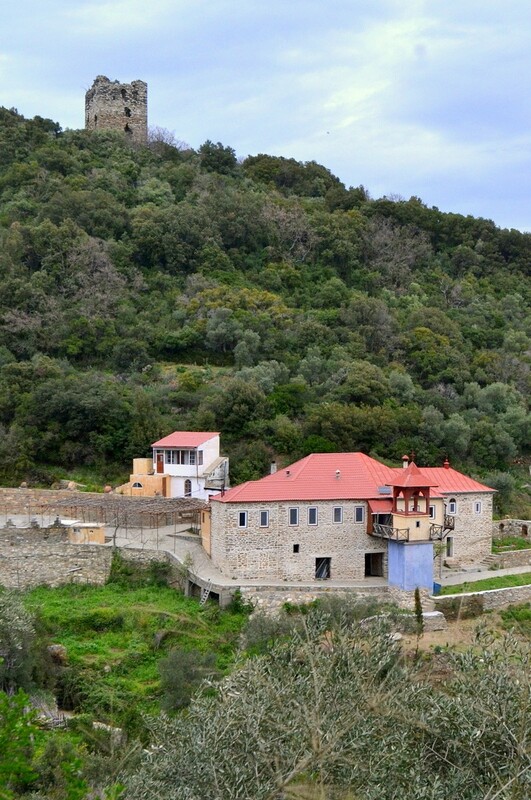 Most people who visited Athos have been to the Zygou monastery near the border, where Athanasius, the founder of Lavra, has stayed some years (read more about Zygou here – post 584). 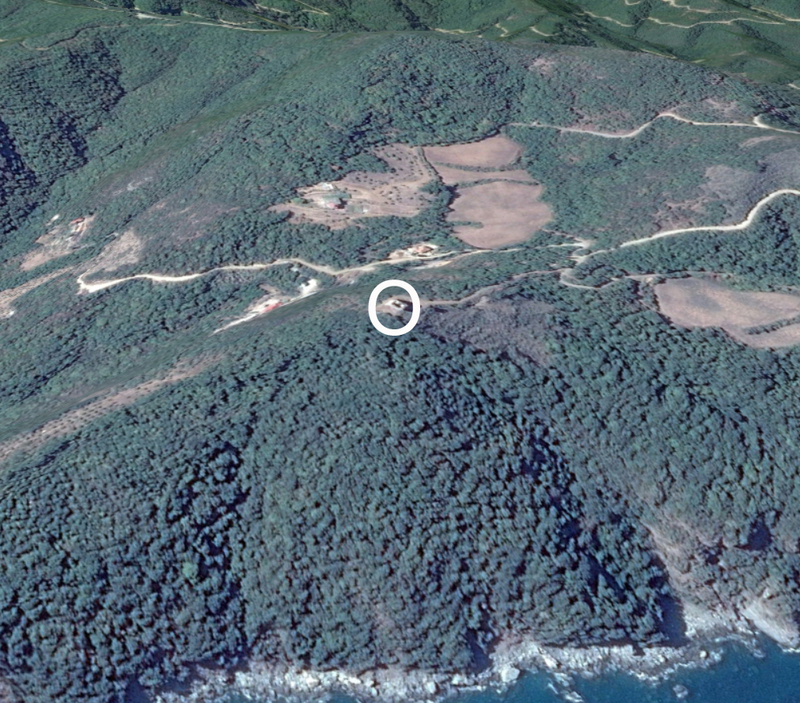 In this post I also discribed the famous Amalfi tower, not far from Morfonou and Lakkou Skiti. 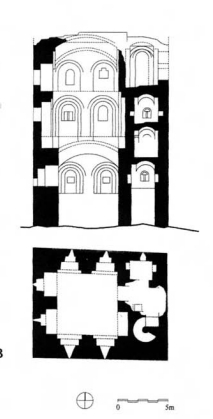 Because of lack of funds the Amalfian monastery disappeared and it was last mentioned in documents from 1287 (read more about the Latins on Athos here (where the author used my picture of the tower from 1986!). 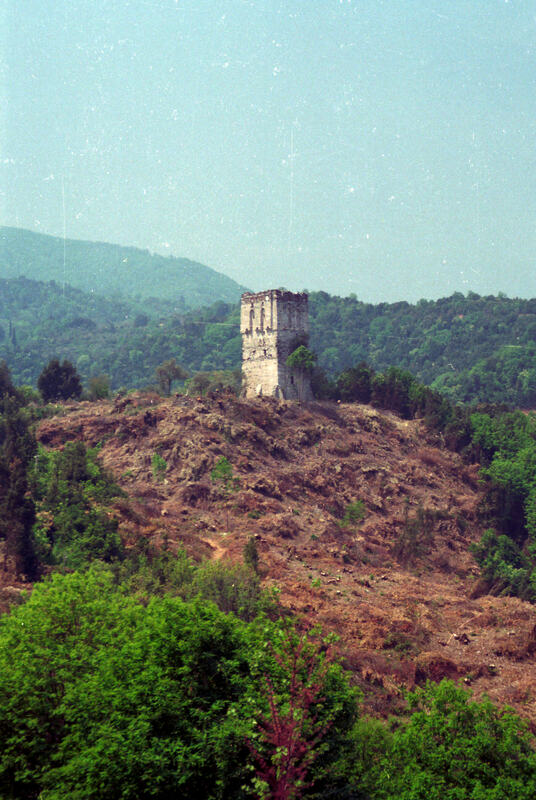 Amalfi tower in 1986, with the surrounding grounds recently cleared. 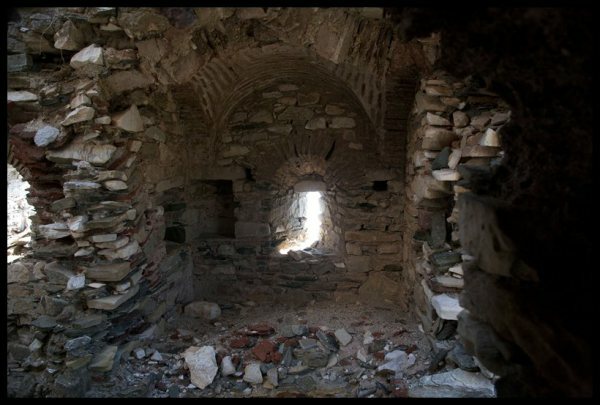 But reading about the kelli Colciu on Pemptousia.ro I came across this picture with the following text: “Byzantine tower from Colciu is the last remnant of an ancient Italian monastery called Μănăstirea Kaletzi (Collegio)”. On this site I could find some more information in English. 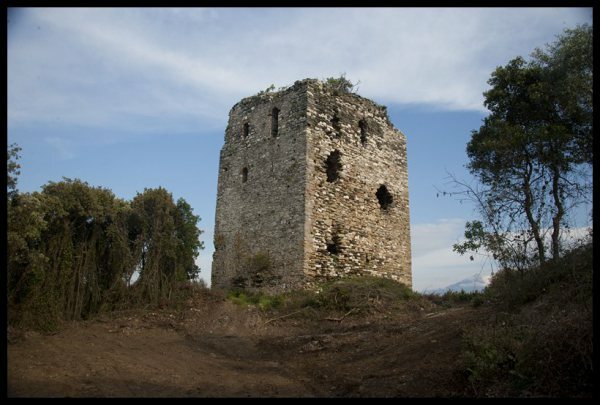 ” The photo report for this week depicts the byzantine tower of Kolitsou which is the last remnant from an old italian Athonite monastery called the monastery of Kaletzes. 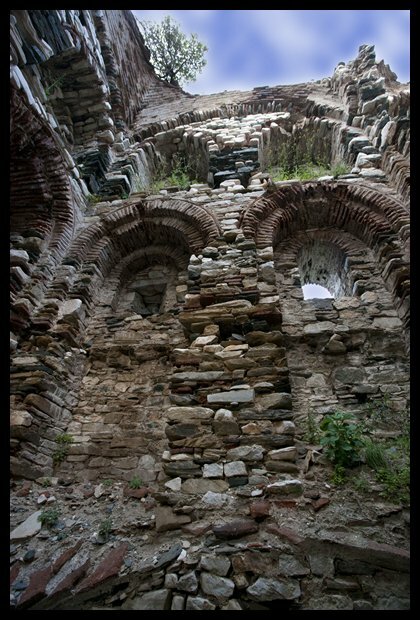 The monastery was abandoned after the Great Schisma and the tower, one of the finest example of Byzantine towers, entered in the possesion of Vatopaidi. 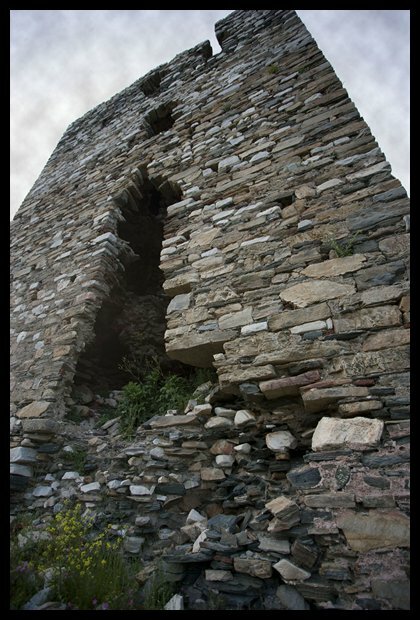 The later construction phase may date to the second half of 14th century, when John Cantacuzene ordered the building (or repair) of the tower”. 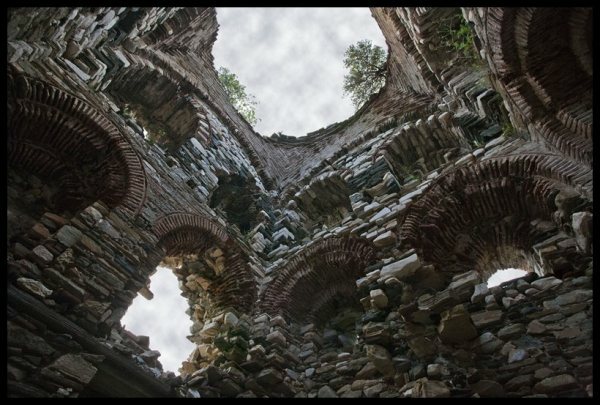 And here you can read the following: “The tower of Kolitsou was initially built in the 12th or the 13th century as part of the old monastery of Kaletzi. The monastery was founded by members of the noble family of Kaletzi from Mani. The tower lies on a hill above the Romanian kelli Colciu and the Greek name for this settlement is Kolitsou. Could these names be derived from the name of the old Collegio monastery? (thanks Vlad for helping). 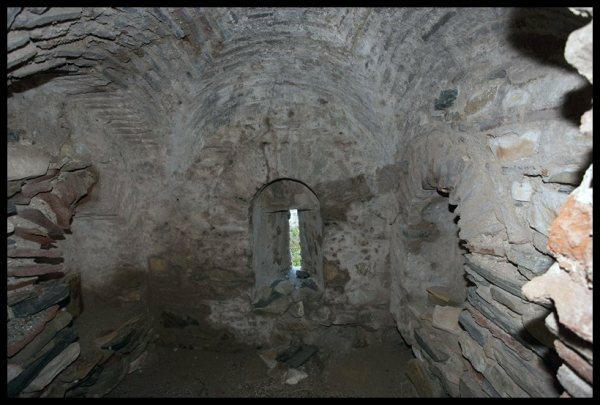 “Niches embedded in the east wall of the top floors of the Mariana and Kolitsou towers point to the existence there of upper-story chapels. At Kolitsou the only entrance was elevated as much as 5 m above ground level and accessible only by rope ladder of removable wooden brigde, so the tower was presumably secure. 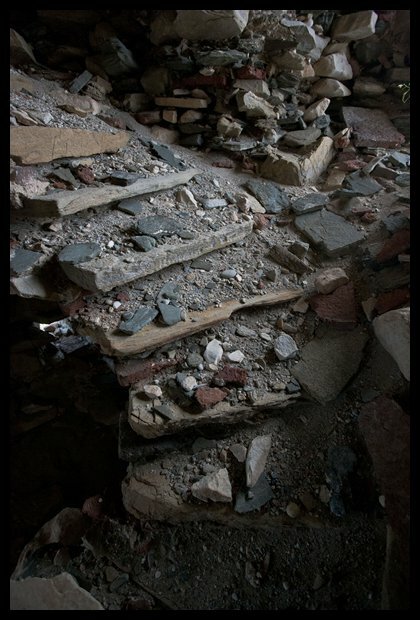 Chambers without external openings also may have served as places of refuge during attack”. When visiting Athos this year at the end of September I will try to walk this FoMA route form Vatopedi to Pantocratoros and visit Kolitsou. This entry was posted in kellia, news and tagged towers. Bookmark the permalink. 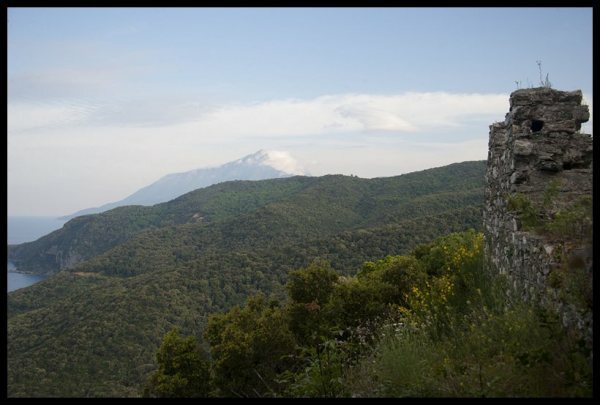 1 Response to 1675 – the Tower of Kaletzi: another Latin monastery on Athos (at Kolitsou or Colciu)? In mijn digitale aantekeningen vond ik het volgende terug: “Er leefden vanaf de 10e eeuw tot het Oosters Schisma, ook buiten het klooster “Sancta Maria van de Amalfianen”, relatief veel monniken, afkomstig uit Zuid-Italië, op Athos. In de Vita van Athanasios van Athos b.v. wordt gesproken over de monnik Nicephorus de Ongeklede uit Calabria die zich vestigde in de buurt van Athanasios (Megistas Lavras). Men bedenke hierbij dat Zuid-Italië, maar ook noordelijke steden als Ravenna, destijds sterk onder invloed van Byzantium stonden. Zuid-Italië viel onder het patriarchaat van Constantinopel; grieks was daar toen de dominante taal. De namen van bepaalde kloosters destijds (b.v. Klavros, Chiliados, Sikelos) zijn verbonden met Italië of Italiaanse hermetieten die naar Athos kwamen. Sikelos was een 10e eeuws klooster (“van de Siciliaan” [tou Sikelou]). In de 12e eeuw bloeide het klooster van Ag. Basilios van de Calabrianiet (tou Kalavrou). De belangrijkste Italiaanse heremieten waren de reeds genoemde Nicephorus de Ongeklede en St. Hesychius wiens leven door Gregorios Palamas is beschreven”.